Looking forward to fall foliage, sweater weather and pumpkin spice everything? Or perhaps the season holds a more sinister appeal…after all, Halloween is nigh! If you’re in need of a scare, go somewhere ghostly this fall! To inspire you, we’ve compiled 7 of the spookiest travel destinations in Canada below. 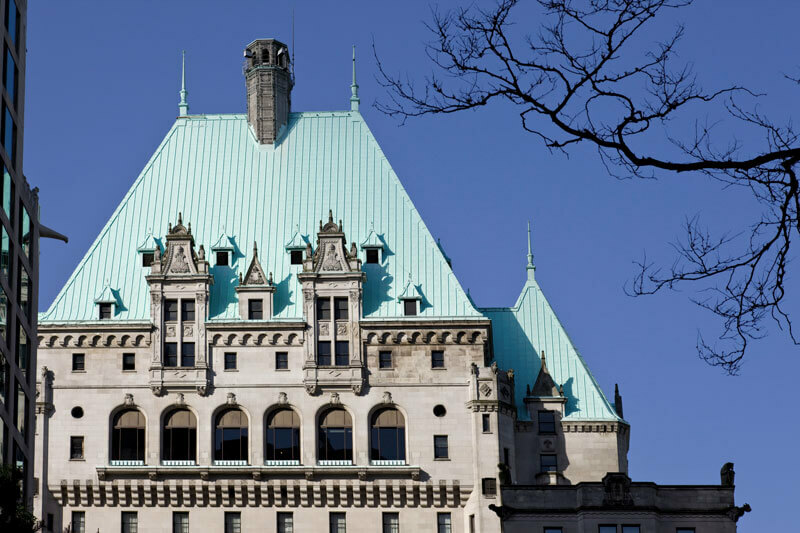 The historic Fairmont Hotel Vancouver is home to resident ghost Jennie Pearl Cox. This historic landmark boasts a world-class restaurant, state-of-the-art bar, and resident ghost, Jennie Pearl Cox, AKA the Lady in Red. According to local legend, Jennie frequented the hotel in the 1930s and 40s, and was fond of its afternoon tea dances. After meeting her demise in a car accident, she took up haunting the hotel’s 14th floor, wandering the hallways and gazing out the top floor windows. This friendly ghost has given guests quite a scare. Book a room on the 14th floor if you dare! Looking for other places to visit in British Columbia? We’ve got a few ideas for you! Sanitoriums were medical facilities that housed people suffering from long-term illnesses like tuberculosis. 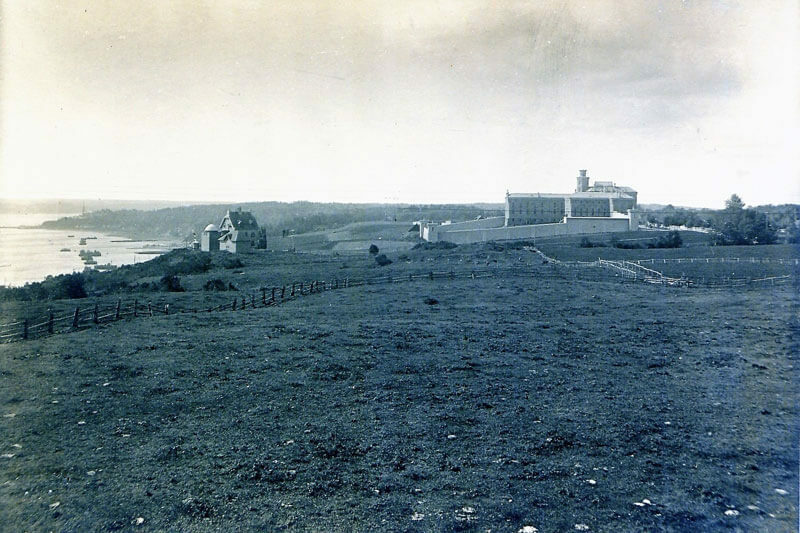 Since it opened in the early 1900s, the Fort San Sanitorium housed tuberculosis patients, many of whom languished and died within its walls. Visitors to this now deserted site have witnessed Nurse Jane’s spirit folding linens and drifting from room to room, tending to her patients. Many also report feeling out of breath and hearing wheelchairs creaking, doors slamming and someone being dragged across the old floors. Saskatchewan is also known for its “living skies”, wide-open plains and friendly residents. Discover Saskatchewan for yourself! Originally built as a Grey Nuns convent, this museum now houses a well-rounded collection of artifacts depicting Francophone and Metis life and culture. 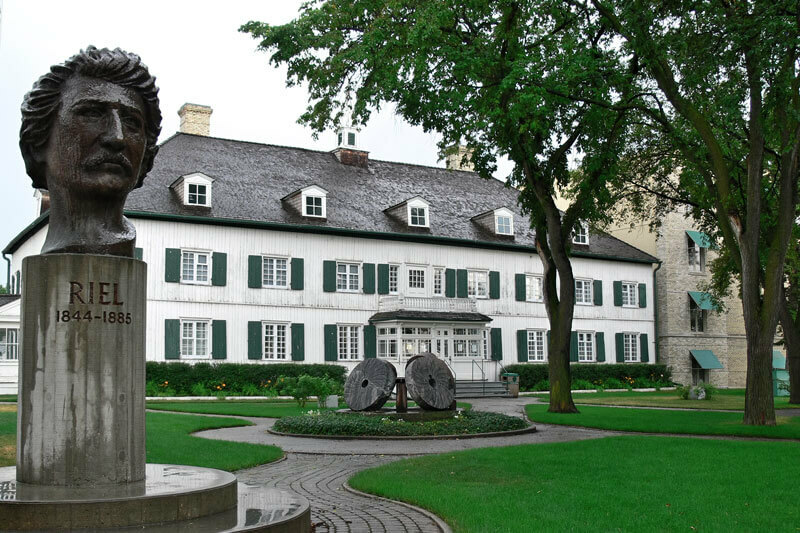 Originally built for the Grey Nuns, who arrived in the Red River Colony in 1884, Le Musee de Saint-Boniface inhabits Winnipeg’s oldest building. The museum now has a well-rounded collection of artifacts depicting Francophone and Metis life and culture, with a special exhibit dedicated to Louis Riel, the “Father of Manitoba”. While it has a reputation for being an interesting historical educational site, the museum is also rumored to be haunted. Visitors report hearing monks chanting, children running and playing and a full choir of women singing. What’s more, taps turn on and off, doors open, and lights flicker all on their own. So if you’re a history buff who enjoys a thrill, a visit to the museum might just be the perfect way to spend the afternoon. If you’re not into being spooked, there are plenty of other interesting things to see and do in Manitoba! For ideas, check out 10 Fun Things to Do That Manitoba Does Better. Bloody battlefield, the Plains of Abraham, is said to be haunted by fallen soldiers’ ghosts. The site of the epic battle between the French and the British Empire in 1759 is allegedly haunted by fallen soldiers’ ghosts. Known as one of the bloodiest battlefields in North American history, this comes as no surprise. Believers say on warm evenings, a spirit appears at the entrance to a tunnel, accompanied by the smell of cannon fire. From October 1 – November 10, the National Battlefields Commission hosts spooky Halloween events for the young and young at heart. Heading to Quebec City? We’ve got ideas for you. Explore the city through all four seasons! A visit to the infamous Kingston Pen isn’t for the faint of heart. 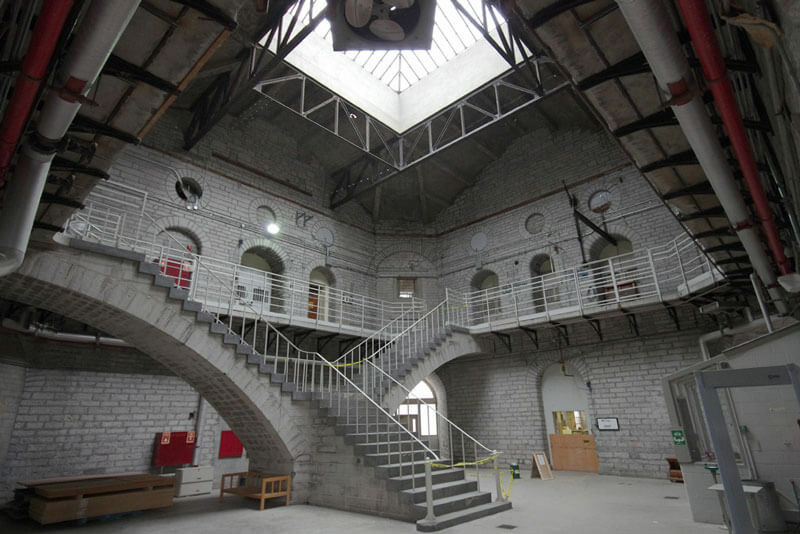 The Kingston Penitentiary first opened in 1835 and was finally shuttered in 2013 due to rising maintenance costs and aging infrastructure. Once home to infamous criminals like Paul Bernardo and Clifford Olson, the prison’s not for the faint of heart. 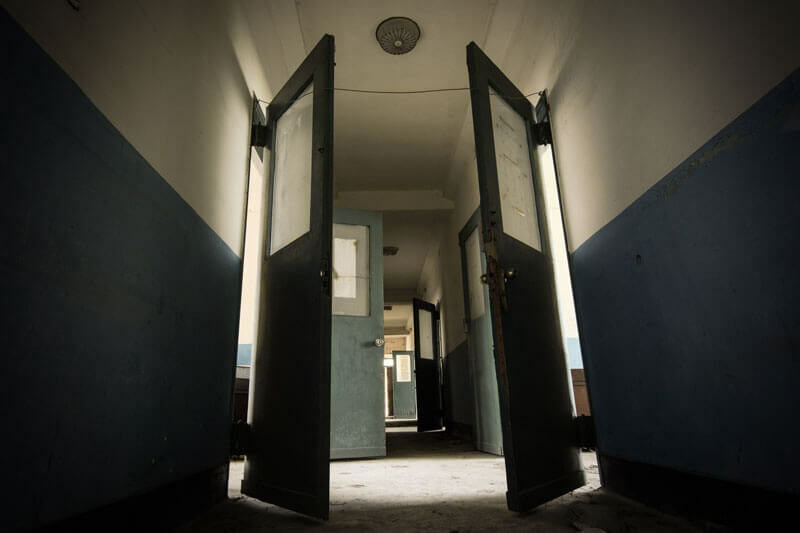 Its crumbling hallways are rife with tortured souls including that of inmate George Hewell, who was known for attacking guards and other prisoners. In 1897, one such guard was forced to murder Hewell in self-defense; who swore to avenge his death. Curious? Book your Kingston Pen tour today! If the Kingston Pen isn’t for you, Ontario has a variety of great attractions to choose from. 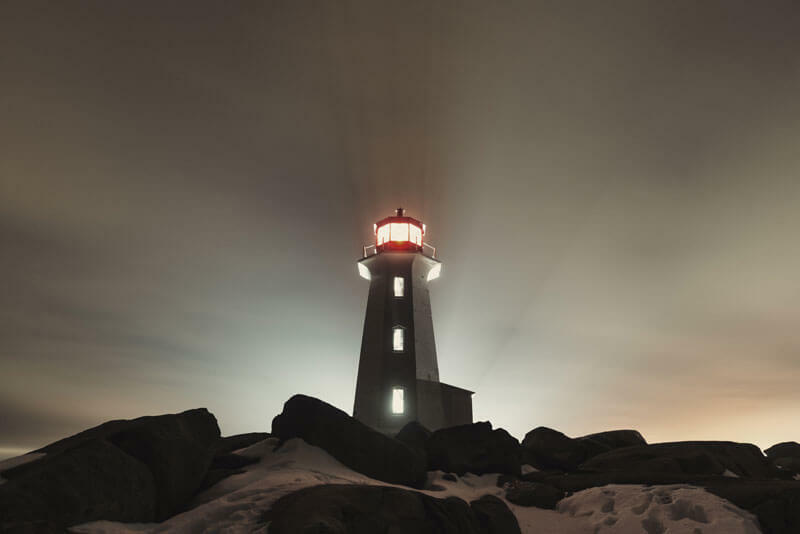 The lighthouse at Peggy’s Cove casts an eerie glow over snow-covered rocks in winter. In 1800, Margaret (nicknamed Peggy) settled here after surviving a shipwreck. She often walked the rocks at night, grieving her children who were lost at sea. After her husband slipped on the same rocks, plummeting to his death, Margaret took her own life. Now she can be seen here, mourning her long-lost family. Peggy’s Cove gets thumbs up on hauntedplaces.org. Find out why! Intrigued by Peggy’s Cove? Why not explore more of east coast Canada? Once home to a whisky-swilling parrot named Polly, the Caribou Hotel now hosts Bessie Gideon’s restless ghost. Looking for another spooky spot to lay your head? Check into the Yukon’s Caribou Hotel! 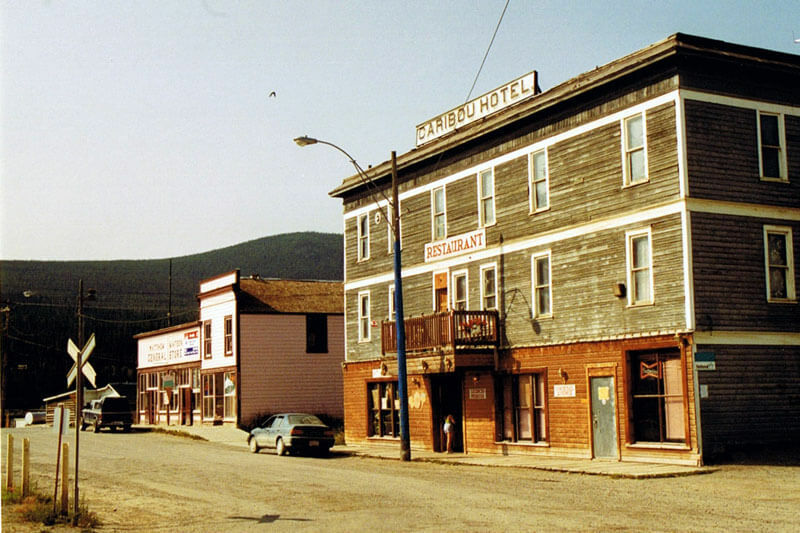 Originally built in 1898 in Bennet BC, the hotel was moved to Carcross, Yukon after the Klondike Gold Rush. After buying it in 1903, Dawson Charlie renamed it the Caribou Hotel. Following Charlie’s death, Edwin and Bessie Gideon ran the hotel until it burned down and then reopened in 1910. Bessie died in 1933, and according to local lore, her ghost has been haunting the Caribou ever since. She makes her presence known by slamming doors, creaking floors, adding bubble to bathtubs and knocking on floor boards. The infamous hotel also hosted resident parrot, Polly, from 1918 until 1972. He was known for singing opera, drinking whisky and cursing. For more chills, check out Yukon Paranormal, Episode 1- Carcross – the ghosts and hauntings of the Caribou Hotel. Intrigued or maybe a little scared? Now’s the time to start planning your ghoulish getaway! But don’t forget your travel insurance; you’ll be able to breathe easier knowing you’re protected if you get sick or injured, even if you’re just travelling to the next province.